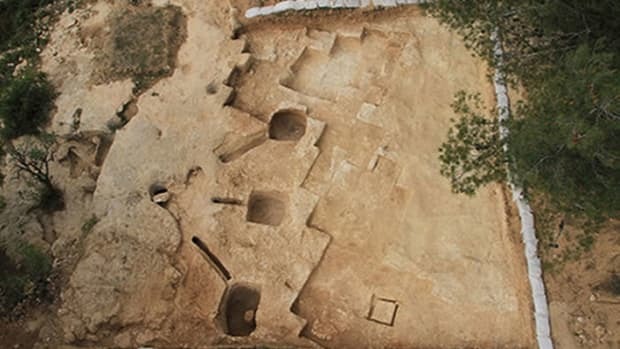 In their excavations of an ancient synagogue in northern Israel, archaeologists uncovered two stunning mosaics depicting Noah’s Ark and the parting of the Red Sea. One of the mosaic panels shows the biblical tale of Noah’s Ark (from the book of Genesis, chapters 6-9) with pairs of lions, leopards, snakes, bears, elephants, ostriches, goats, sheep and other animals shown alongside the ark itself. The other vividly depicts the parting of the Red Sea (from Exodus 14:26), complete with large fish swallowing soldiers in the Egyptian army, overturned chariots and drowning soldiers and horses. Last month, a team of archaeologists discovered these two stunning mosaics on the nave floor of the synagogue in the ancient Jewish village of Huqoq, located in the lower part of the northern Israeli region of Galilee. 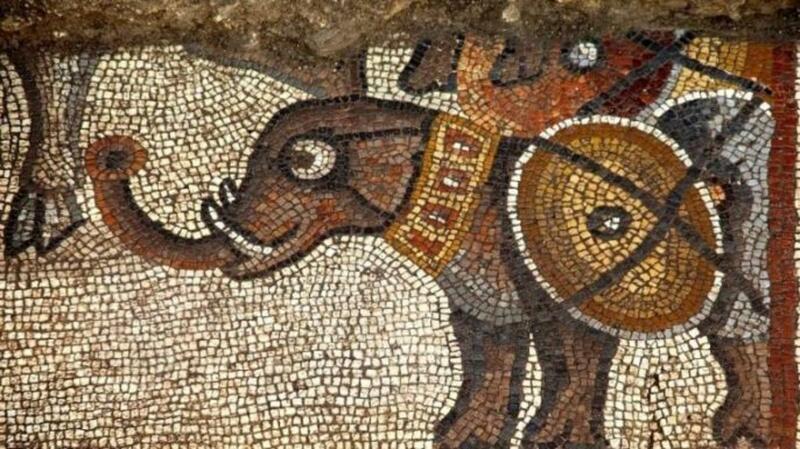 The mosaics surfaced during the fifth season of excavations of the Huqoq site. The team uncovered the first mosaic there back in 2012, a year after excavations began. 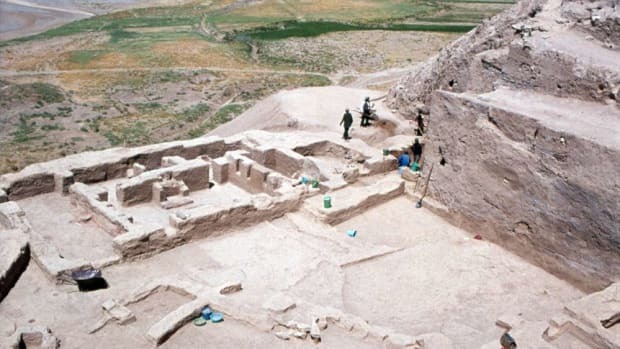 Currently, the Huqoq Excavation Project includes experts from the Israeli Antiquities Authority as well as students and staff from Baylor University, University of North Carolina at Chapel Hill, Brigham Young University and the University of Toronto. The synagogue at Huqoq dates back to the fifth century A.D., when the region was part of the Roman Empire. Archaeologists have previously found synagogues from the late Roman period with mosaic floors, in some cases even depicting scenes from the Bible. 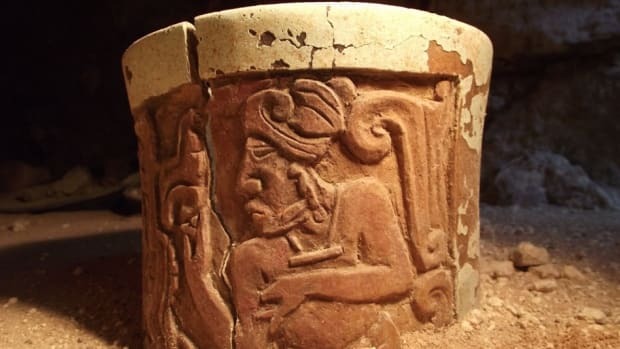 Still, these particular biblical scenes are extremely rare for the time period, according to Jodi Magness, a professor of archaeology at UNC Chapel Hill who is directing the excavations. 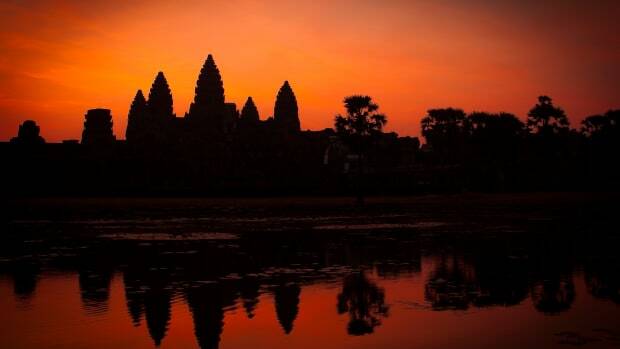 In addition to their relatively distinctive content, the ancient mosaics stand out for their high quality. 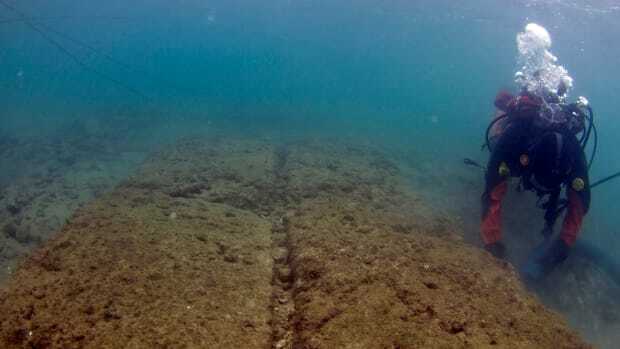 “I know of only two other scenes of the parting of the Red Sea in ancient synagogues,” Magness told National Geographic. “One is in the wall paintings at Dura Europos [in Syria], which is a complete scene but different from ours—no fish devouring the Egyptian soldiers. The other is at Wadi Hamam [in Israel], but that’s very fragmentary and poorly preserved.” The mosaic of Noah’s Ark is equally rare, with similar ones having been found only in Jerash, Jordan and Mopsuestia, Turkey. 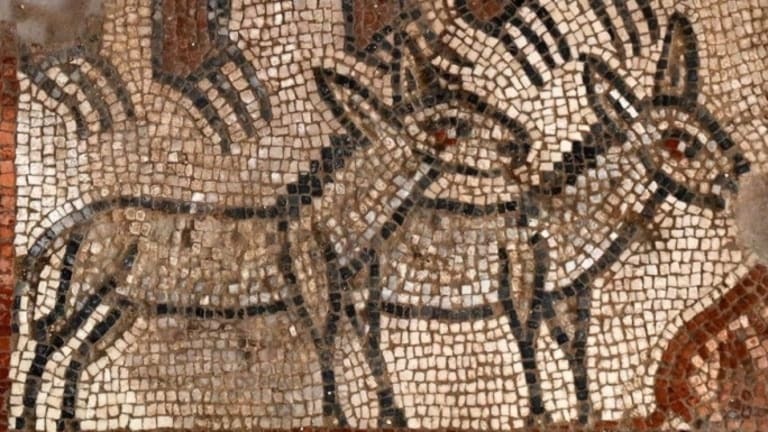 Magness was also on the scene in 2012, when excavations yielded the first mosaic found at the Huqoq synagogue: a somewhat fragmented image of the biblical hero Samson placing torches between the tails of foxes (from Judges 15:4). In another, better preserved Samson mosaic discovered the following year, the famously strong warrior is depicted carrying the gate of Gaza on his shoulders (from Judges 16:3). A third mosaic, uncovered between 2013-14, depicts a meeting between two important male figures, one of whom is accompanied by an army of soldiers and elephants. 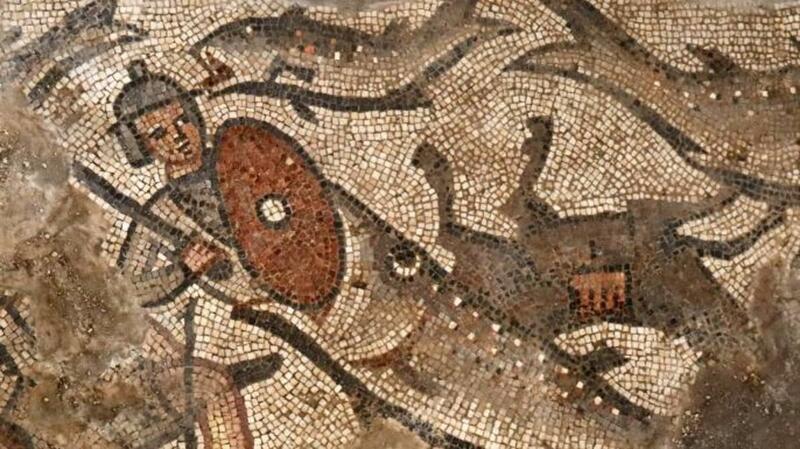 Thought to be the legendary meeting between Alexander the Great and the Jewish high priest, it is the only non-biblical scene ever found in a mosaic in an ancient synagogue. The archaeologists made all of these earlier discoveries in the synagogue’s eastern aisle, and they were uncertain if they would find much more in the building’s nave or central area. But after digging began, excitement erupted when the group found more mosaic tiles beneath the accumulated stones and dirt on the floor of the nave. As it turned out, the Noah’s Ark panel faces north, and would have appeared prominently to people as they entered from the synagogue’s main door to the south. 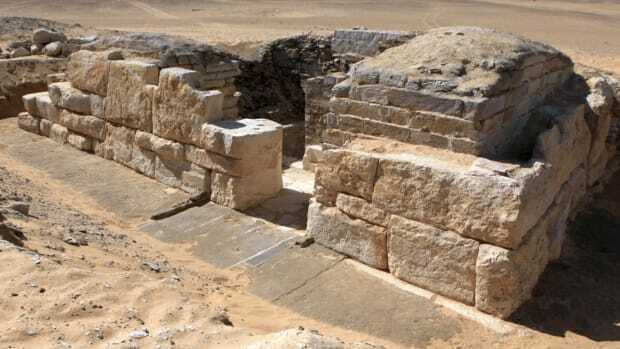 The site of the excavations is closed to the public; the mosaics have been removed for conservation and the excavated areas have been backfilled with tons of earth. Further excavations will continue next summer.